Responsible for establishing strategic alliances with key MNC, SME and not-for-profit firms in Singapore to promote collaborative applied research as part of academic program. The role involves proactive planning and evaluating partnerships, assessing needs and managing student research engagements by collaborating with senior and mid-level business leaders. Case - Teaching workshop – Harvard Business School, Singapore, 2014. Fellow – Team Based Learning program by Duke-NUS, Singapore, 2012. Leadership & Strategy Program for Visa International, Singapore. Leadership Program for Nigerian healthcare professionals, Singapore. "Linking Process Evaluation for creating career tracks in a BPO." Workshop for line managers of a leading global telecom company, Mumbai. "Creating & sustaining high performance teams." Management Development Program for Line Managers for a leading online trading company, Mumbai. 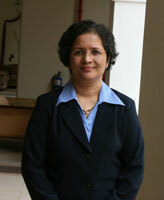 Member of the School Management Committee – Singapore School for the Deaf. Member – Board Match and mentor for leaders for Center for Non-Profit Leadership (CNPL). Professional Member – Singapore Human Resource Institute (SHRI), Singapore.